It runs for more the 500 Million Monthly Active Users. Windows Store is getting more engagement than ever! Thanks UWP! Cortana is loving to answer more and more questions. 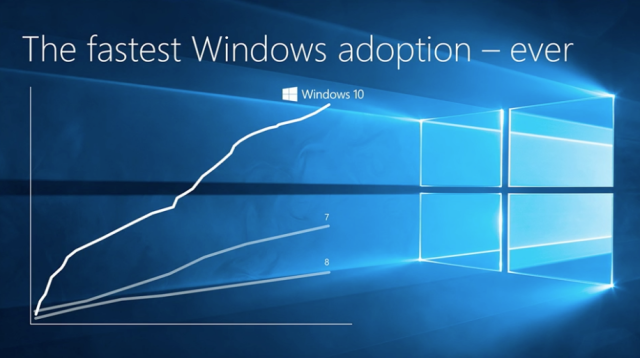 Windows 10 has seen fastest adoption rate than its previous editions. WSL is the Linux’s Bash shell running unmodified on the Windows 10 Pro (x64) machine without the need of installing a virtual machine for the same . 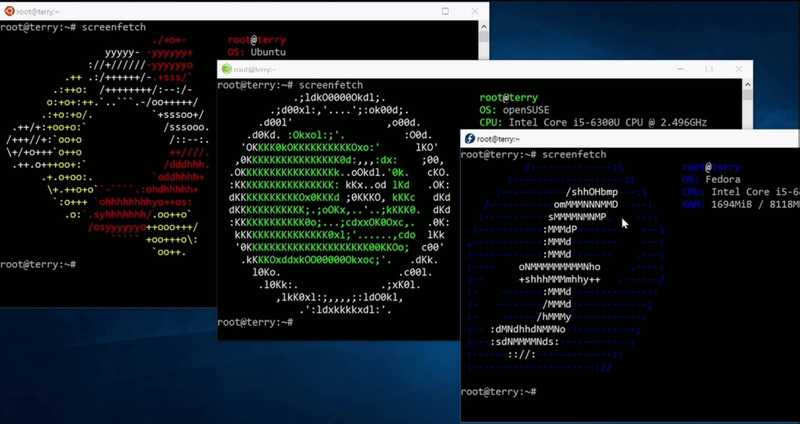 Currently only Ubuntu’s Bash shell is available for Windows 10 Anniversary Update and Creators Update but with Fall Creators Updated which is stated to be released in September 2017, it will bring it to Windows Store along with Shells from Fedora and SUSE Linux . We are talking about Windows 10 and we don’t talk about Cortana? That is not possible . We love how Cortana works on Windows 10 and helps us give seem less experiences on all our devices. 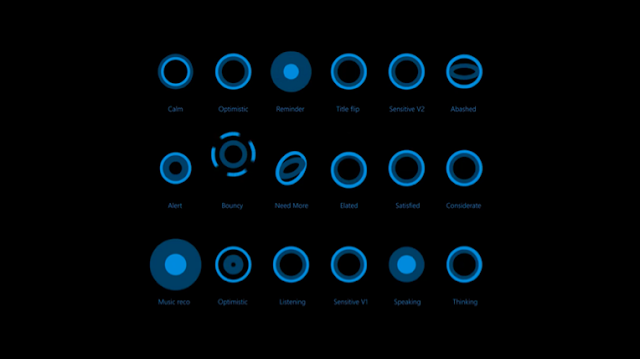 Cortana is forming a brand new bridge between our devices that is boosting our productivity exponentially . Don’t we just love organized desktops? 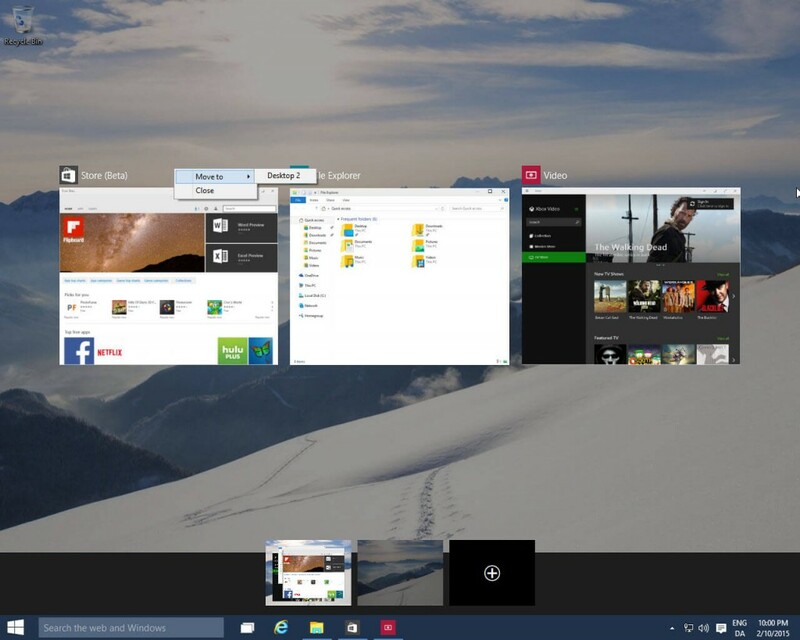 Multiple desktops and Task View functionalities were added to Windows 10 on its initial release 2 years ago and since then it has become family to a lot of people just separating the interference of their different task . 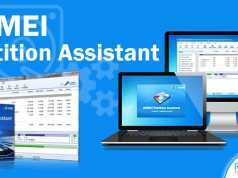 Users can add multiple desktops for different commitments or can just view all the programs that are open and helping them get a task done . With Windows 10, a brand new browser internally codenamed Project Spartan and later officially named Microsoft Edge . Edge was made to work well with the Modern Web . It had support for Inking, annotations and syncing capabilities with other devices running Windows 10 . 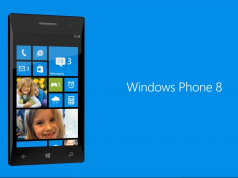 Slowly and steadily its growing from Update to Update and is currently being led by Microsoft Icon, Joe Belfiore . Xbox integration was a big boon for gamers out there . With DirectX 12, it supports very intense graphics performance for PC Games . It also enables XBOX game streaming on Windows 10 PCs and Laptops over LAN Looking forward to see Phil Spencer’s dedicated work makes it way for the consumers . There are A LOT of more features too but these are the major ones that are totally loved!